Care for people dying in hospitals, hospice principles in hospital settings. 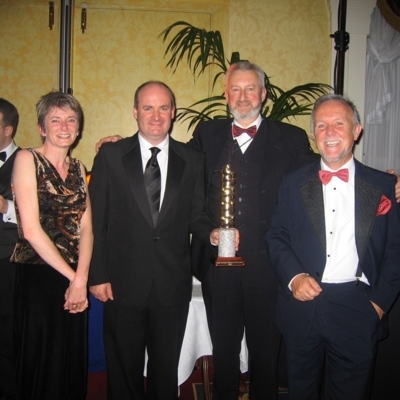 Images of accepting the 2005 Irish Pharmaceutical Award for the Care of People Dying in Hospital project. Eugene Murray-CEO of Irish Hospice Foundation. Denise Robinson-Administrator of Hospice Friendly Hospitals programme. Irish Hospice Foundation. 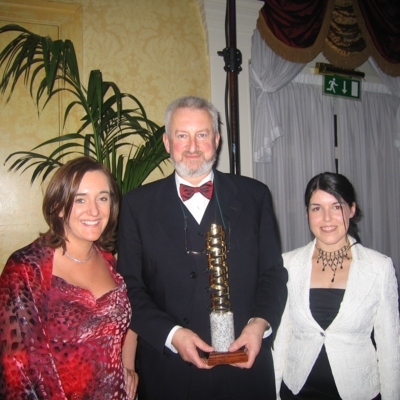 , “Irish Pharmaceutical Awards, 2005. ,” Archives Hospice Foundation, accessed April 22, 2019, http://archives.hospicefoundation.ie/document/538.